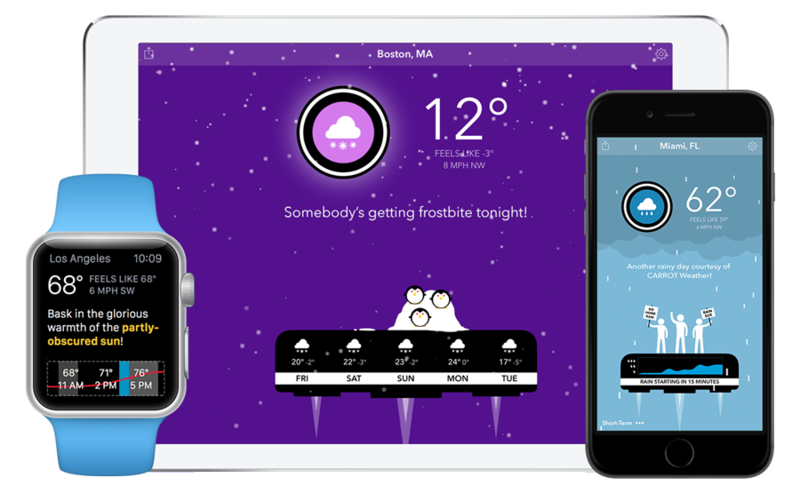 Over my Christmas break, I started looking for a new weather app, specifically a third-party one that would also work as a Complication on my Apple Watch. I like being able to see the Feels Like temperature outside, and this app does that and a lot more. For starters, what makes this third-party app good is the fact that downloading the app is free itself. CARROT does have some in-app purchases too, but being able to download the app for free is nice. I did sign up for the Premium Club membership which does allow for you to get notifications on your devices. I wanted this particularly on my Apple Watch since I like to get the current weather on it from there. With that said, it allowed me to find out exactly when my college town went under a Winter Storm Watch. Best of all, you can choose your political party of choice. So, if you’re like me and are conservative, it tells you funny jokes such as, “I wonder how Hillary Clinton is feeling right now?” You can’t get that kind of humor in any weather app out there! As for the interface and usability of the app: it works pretty well. I have yet to have the app crash on me or not present the information that I need. It’s a Steve Jobs Apple kind of thing: it just works! 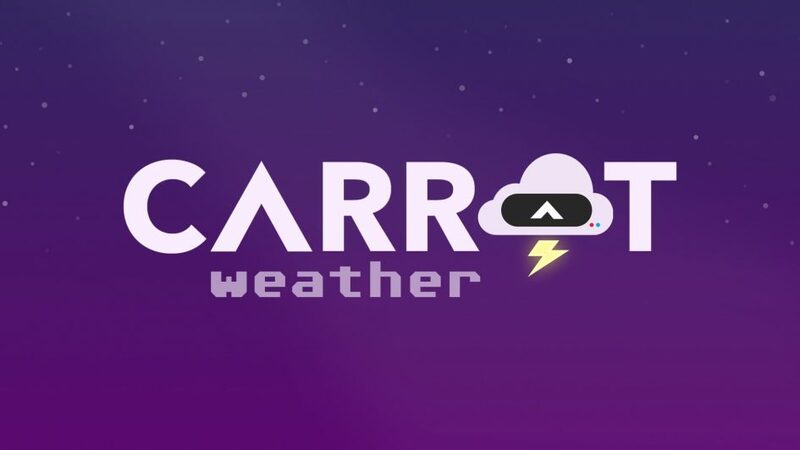 All in all, I am giving the CARROT 5 Weather app 4/4 stars. I am personally thinking about getting the Ultrapremium Club membership. The app looks great, works well and does exactly what I want I want it to do and then some!